MONTPELLIER, France — April 23, 2018 — Algodone, a Silicon Activation Licensing Technology™ (SALT) provider, has appointed Christophe Ballan to the position of VP of Sales, and Jin Zhang, VP of Marketing. Both report to Jerome Rampon, co-founder, President and Chief Executive Officer of Algodone. Mr. Ballan is responsible for Worldwide Sales at Algodone, with a special interest in advising startups in their business development phase. 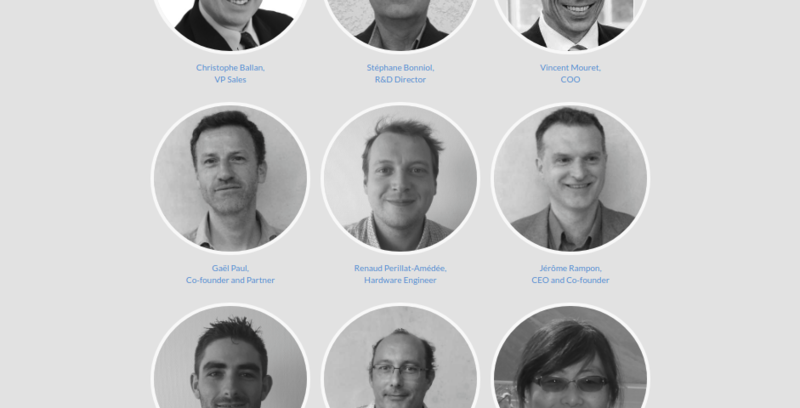 Prior to Algodone, Christophe was VP Operations at EVE (acquired by Synopsys). Before that, he has held senior sales and marketing management positions at Enea and Wind River Systems, both in the embedded Software area. Mr. Ballan graduated from the ESCP Paris Business School and got an eMBA from Stanford University, completed with an entrepreneurship course at HEC Business school. Mrs. Zhang is responsible for Worldwide Marketing at Algodone. She has 20+ years of experiences in the semiconductor industry, driving new products and services to the market. Prior to Algodone, she was the VP of Marketing and Customer Relations at Oski Technology. Before that, she was the General Manager of EVE China. Mrs. Zhang holds a Ph.D in Electronic and Computer Engineering and a MBA in International Management, focusing on Asia Pacific. Algodone was founded in 2015 with a vision of enabling a new business paradigm for the semiconductor industry, “Silicon-as-a-Service”. Through its patented Silicon Activation Licensing Technology (SALT), developed in collaboration with the University of Montpellier, semiconductor companies can activate/de-activate functionalities, configure features throughout silicon’s life cycle, monitor/control device usage through time, space, or special events, and most importantly, protect silicon Intellectual Property (IP) assets.“Silicon-as-a-Service” offers enhanced flexibility, profitability and security for the semiconductor industry. For more information, visit http://www.algodone.com.